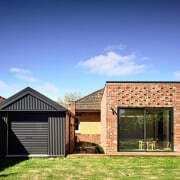 ​​​​​​​To match the existing home’s cladding, recycled clinker bricks were sourced for the exterior of these living zone and rumpus room extensions. However, the bricks were given a more detailed treatment here, with a protruding brick patterning, an exterior response to the wealth of detailing on the interior of the original home. 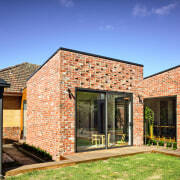 Cedar cladding breaks up the character brick walls. 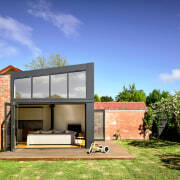 Not all renovation and extension architecture is driven by a dilapidated existing residence. 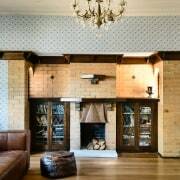 In fact, for this design by architect Nathan Porter, the 1940s home had been in excellent condition with a wealth of beautiful interior detailing. 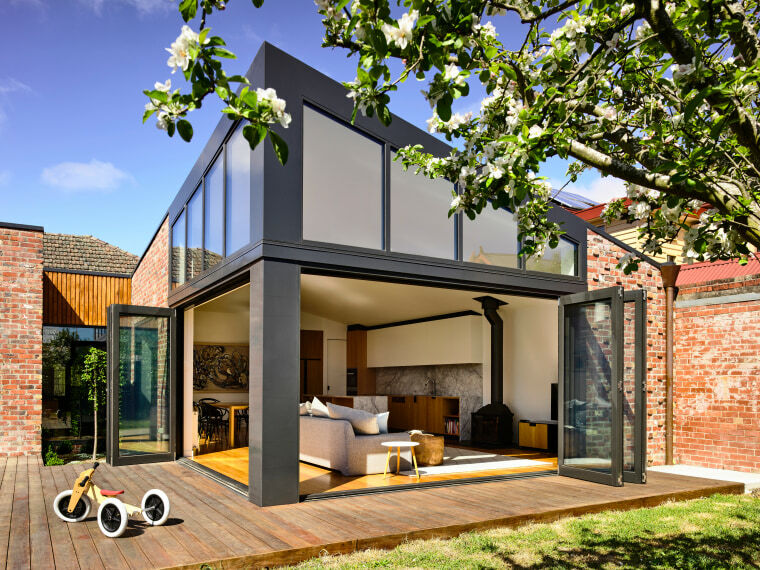 To achieve all this, the architect effectively turned the home into two zones – the original house is the more private area with bedrooms and a front-room study, while the new extension at the back offers generous open-plan living. 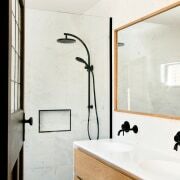 “In the existing home, we simplified a slight jumble of rooms at the back and added modern ensuites to existing bedrooms,” says Porter. 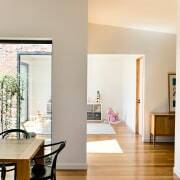 “And, importantly, we created a hallway that provides a welcoming line of sight from the front door right through to the rear extension. 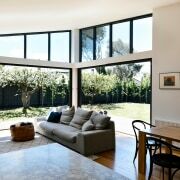 ​​​​​​​On this renovation and extension project by Porter Architects, a steep roof angle gives this side of the living zone a soaring ceiling height. 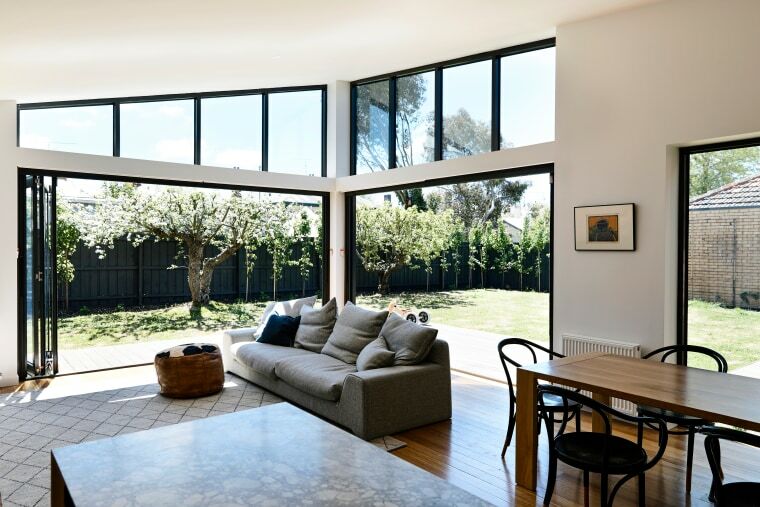 Clerestory windows make the most of the northern sun. The long, linear corridor also allows natural light to penetrate deep into the home’s interior. 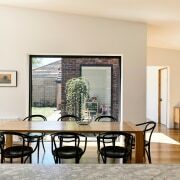 While the extension is different in character, it flows on seamlessly from the existing house as Porter sourced recycled floorboards for the new build that match the floors in the original home. As well as the principal living volume, the new public zone includes a rumpus room and a courtyard area that separates the two. 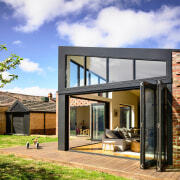 The main volume has clerestory windows to maximise natural light and bifold doors that open the space up the rear garden. 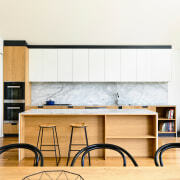 It comprises a new kitchen, a dining area and the living area. “Seen from across the small courtyard, the rumpus room almost reads as a freestanding element,” he says. 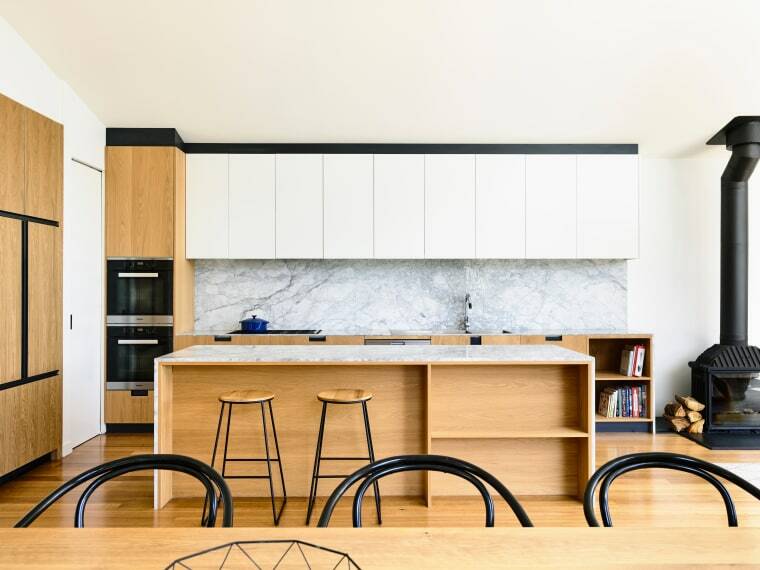 ​​​​​​​Understated design can also stand out.This minimalist entertainer’s kitchen – with recessed cabinet handles, American Oak undercounter cabinetry and marble splashbacks – connects with its surroundings and provides a casual social hub. 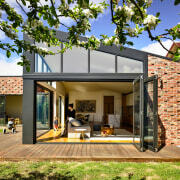 The rear extension is built on a wood frame with substantial steel also involved to allow for the steep angle of the roof and ample glazing. As with the flooring, the existing and new exteriors also flow, as Porter sourced matching recycled clinker brinks for the new sections. These are given a decorative treatment – an echo of the attention to detailing in the original home.